Yellow convoluted foam buffing pad. Single sided. Medium Cut to refine sand scratches. The 3M Foam Compounding Pad is exactly what you need to keep your boat looking polished, shiny and new. 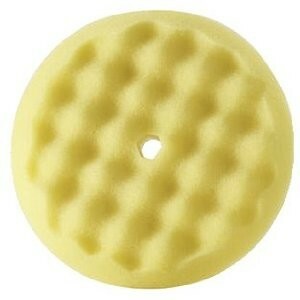 Yellow convoluted foam buffing pad. Single sided. Medium Cut to refine sand scratches.